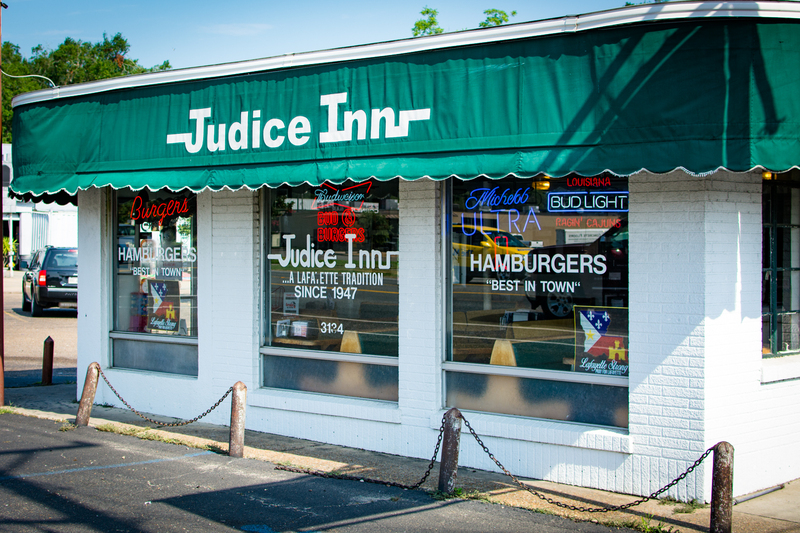 When Judice Inn opened in 1947, brothers Marc and Alcide Judice advertised that their hamburger restaurant was located only a mile and a half outside the Lafayette city limits. 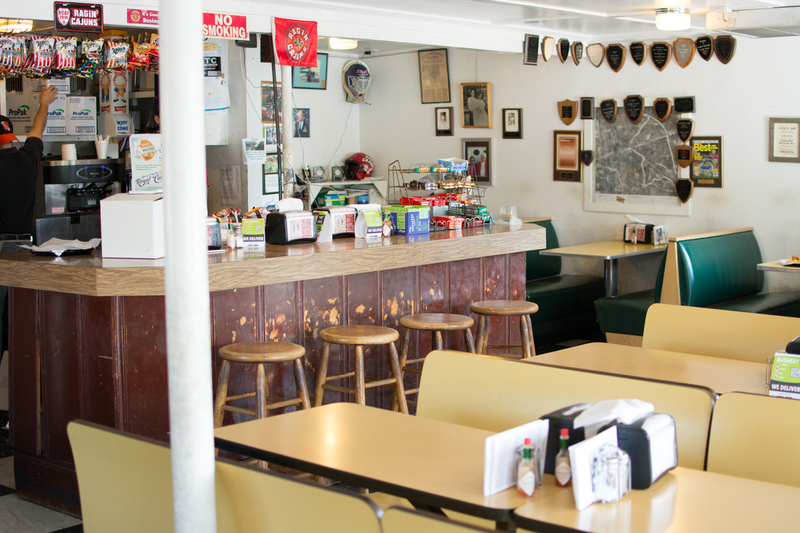 Today, surrounded by an urban landscape and located on the busiest street in town, it’s hard to imagine Judice Inn in the middle of the countryside, with poles in front for those arriving on horseback. The brothers were part of a family of 17 and they built the establishment themselves on family property. 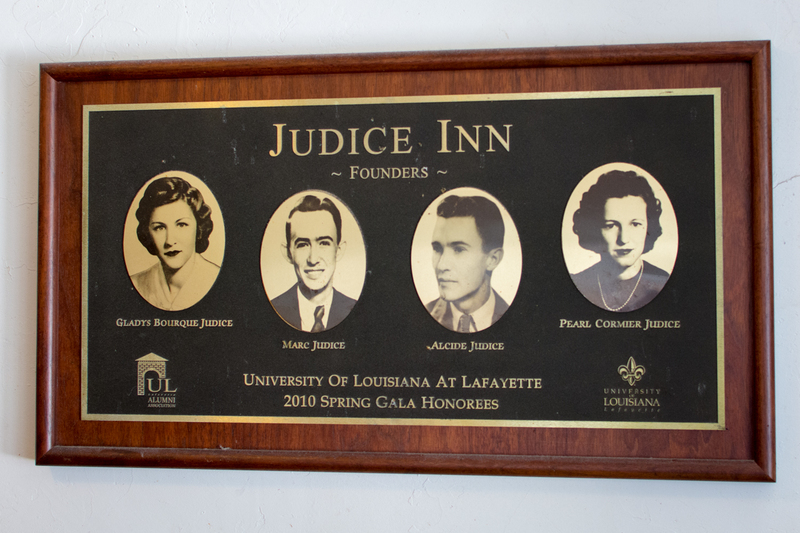 Judice Inn only served hamburgers with a spicy Cajun flair — an old family recipe — along with a few other menu items as a way for the brothers to earn a living. It didn’t take long for the restaurant to become popular and people began flocking to the country restaurant for those oh so delicious burgers. 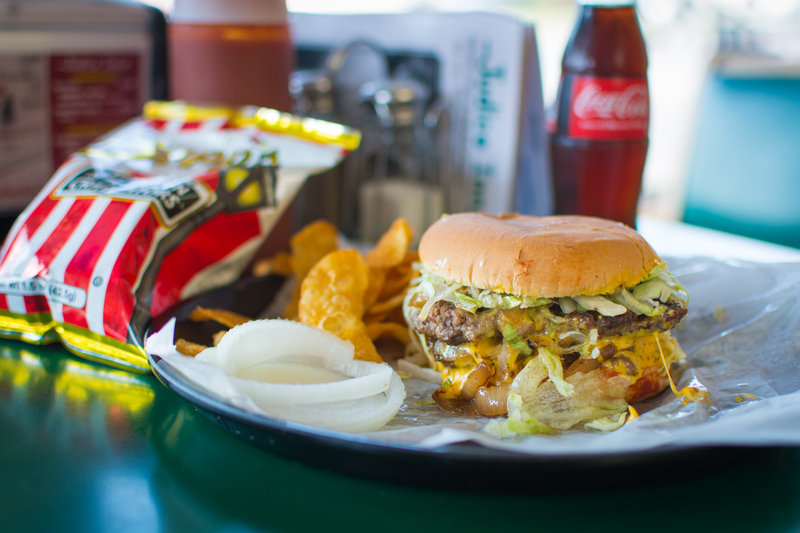 All burgers are served with the original Judice sauce, mustard and mayonnaise mixture with lettuce and an onion slice on the side. Extra items include adding cheese, ham or egg on top and the burgers are served with chips, not French fries. The menu also includes sandwiches on toast bread and there are plenty of drinks to choose from, including beer, and candy bars for dessert. In addition to steadfast family traditions, the restaurant walls also reflect what’s great about Lafayette. There are Mardi Gras balls, football championships, University of Louisiana at Lafayette memorabilia and, of course, photos of the Judice family. The restaurant is currently owned by 13 Judice family members and occasionally questions arise about expanding the menu or enlarging the restaurant, maybe adding a second location. For now, things will remain as is. “We’re all very thankful for the institution that they built,” Gerald Judice said of his parents and aunt and uncle. “It’s a neat little deal, not a monetary thing. It’s more of a sentimental thing. The business is more of a monument to our parents and not a profitable scheme. It doesn’t make sense but to us it does. “My dad always said if it’s not broke, don’t fix it,” he added. 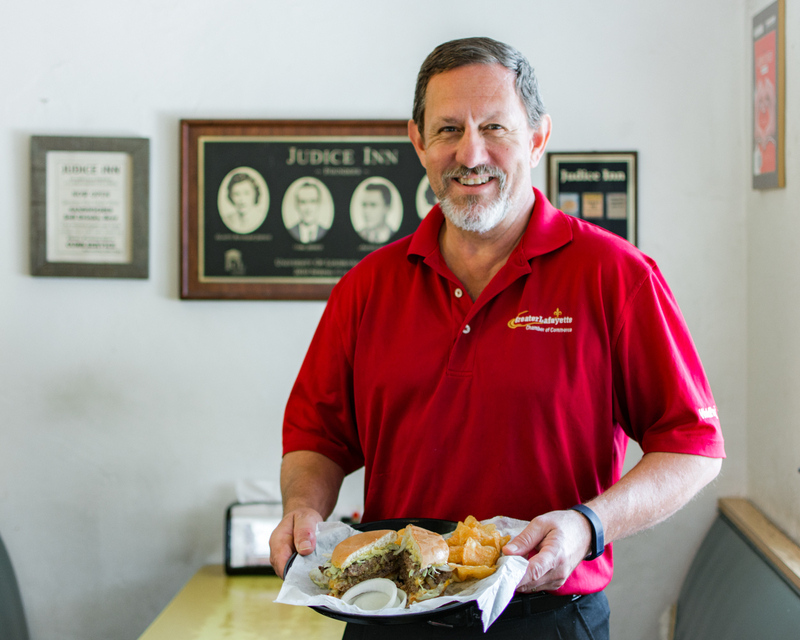 Judice doesn’t take anything for granted, especially his customers, which he considers his greatest asset. In some cases, Judice serves several generations of the same family. In others, couples have met in the restaurant’s parking lot back in the day when Judice Inn offered curb service.